Our team has provided broadcast consulting services for organizations around the globe – from Asia to Europe. We’ve helped to launch OTT networks from the ground up and build state-of-the art production facilities. Our team consists of highly experienced industry professionals with hands-on experience from all facets in Media and Broadcasting ranging from launch of new TV stations and services, over the creative process of team development, pre and post-production, to technology workflow, innovation and implementation, multi-platform delivery and device development – and everything in between. 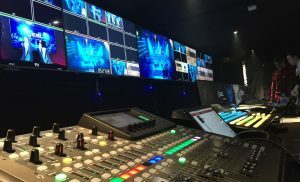 Having hands-on working experience in all facets of the broadcasting ecosystem, we are able to provide solutions, with real-life scenarios in mind. Therefore, we are able to answer to your needs, as a one-stop solution provider with a unique mix of knowledge, creativity and experience you will not be able to find elsewhere.